A Claire's store in New York is seen in this March 17, 2018, file photo. U.S. regulators on Tuesday warned people not to use certain Claire's makeup products after samples tested positive for asbestos, but the retailer disputed the findings. The Food and Drug Administration said it issued the warning because it said Claire's refused to comply with its request for a recall, and that the agency doesn't have the power to force one. In a statement, Claire's noted that it removed the three products identified by the FDA from its stores "out of an abundance of caution," and that it's also removing any remaining talc-based cosmetics. But the company said the FDA's test results mischaracterize fibers as asbestos. It said it tried to discuss the matter with the FDA, but the agency moved ahead with its warning. The FDA conducted the tests after learning of reports of asbestos in products sold by retailers Claire's and Justice in 2017. A Justice representative noted that it quickly recalled products in 2017. Justice said one set of its tests showed no evidence of asbestos, while a second round of testing showed trace amounts. Claire's removed products from stores but didn't issue a recall. 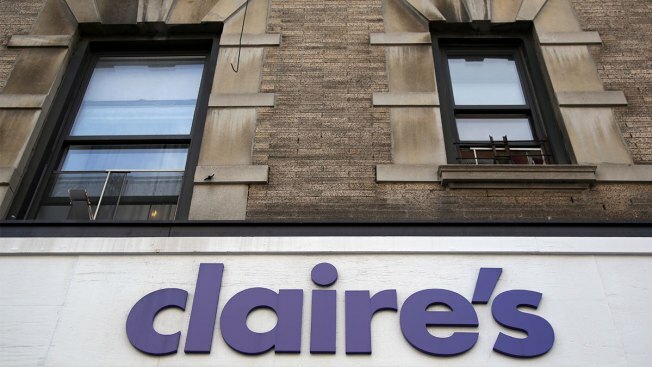 The FDA said Tuesday its tests, conducted by the Occupational Safety and Health Administration and AMA Analytical Services, confirmed asbestos in three Claire's products and one Justice product. Officials have issued warnings for ground turkey, ground beef, romaine lettuce and cake mix going into Thanksgiving 2018. The FDA said the three products people shouldn't use are Claire's Eye Shadows, batch/lot No: 08/17; Claire's Compact Powder, batch/lot No. : 07/15; and Claire's Contour Palette, batch/lot No. : 04/17. The agency said it was not aware of anyone being sickened by the makeup. Asbestos fibers can get stuck in the lungs and it can cause cancer, but the greatest risk is to people with frequent, long term exposure to it. Cosmetics do not have to be reviewed or approved by the FDA. On Tuesday, the agency said it plans to collect information on how companies ensure the talc they use is free from asbestos. The FDA also asked companies to register their products and ingredient lists on its website, but noted that doing so is not required.